Danny Gilbert, co-founder of top firm Gilbert + Tobin, is apparently in the running to be the next chairman of the Australian Broadcasting Corporation (ABC). However, for the managing partner to clinch the appointment to lead Australia’s state broadcaster, he has to beat a group of equally well-known contenders including David Gonski and David Thodey, according to a report by The Australian. 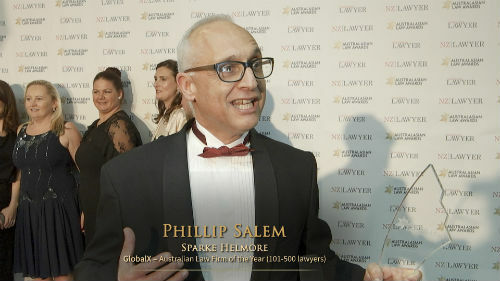 In addition to his top post at Gilbert + Tobin, Gilbert is also non-executive director of National Australia Bank and chair of the Western Sydney University Foundation and the Cape York Partnership. Gonski is the chairman of ANZ Bank and Coca-Cola Amatil, while Thodey is the former Telstra boss who now chairs the Commonwealth Scientific and Industrial Research Organisation (CSIRO). According to the publication, Gonski and Thodey were “the two names on people’s lips” during last Wednesday’s send-off for Lynley Marshall, the current ABC International CEO, at ABC’s Melbourne headquarters. One attendee apparently even said that the pair are “the candidates to beat” if they are indeed interested in the post. Meanwhile, professional directors and art administrators are also reportedly in the running for the five-year appointment, which pays $167,900 per year. The successful candidate will be selected by an independent panel chaired by former treasury secretary Ted Evans and including former Seven and Ten newsreader Anne Fulwood, ­former Liberal government minister Neil Brown and company director and lawyer Sally Pitkin. Maurice Newman, chairman of the organisation from 2007 to 2012, said that there is “strong evidence” suggesting due process was “not observed” in the past. He said he believes the panel is not really fulfilling its purpose of eliminating politics from selection process.